Over the course of the day, the number of riders is whittled down in two knockout races: 13 and 14-mile loops through unforgiving Appalachian terrain. That all sets up final round on a mile-long short course. Spectators crowd into the most treacherous segments, cheering on riders, shouting advice on the best lines and ducking from rocks and dirt kicked up by spinning tires. And drinking beer, of course. Best of all, tickets are just $10. 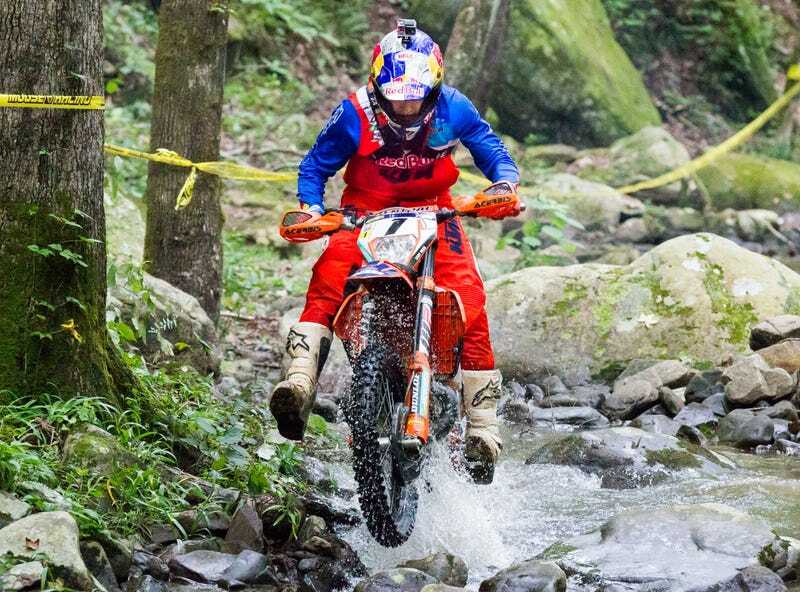 Even with an influx of international talent, American Cody Webb was unstoppable on his KTM. The Californian won the event for the fifth straight time, followed by Husqvarna rider Graham Jarvis of Britain and Spain’s Mario Roman on a Sherco. Other cool bikes in the top 15 included Betas and GasGas. I arrived at the Tennessee Knockout too late to snap up a press pass, but it ended up not mattering. There is virtually total access to the whole course for everybody, and not a bad seat in the forest. Start planning your trip for next year. In the meantime, enjoy this photo gallery of fearless riders (and fans).